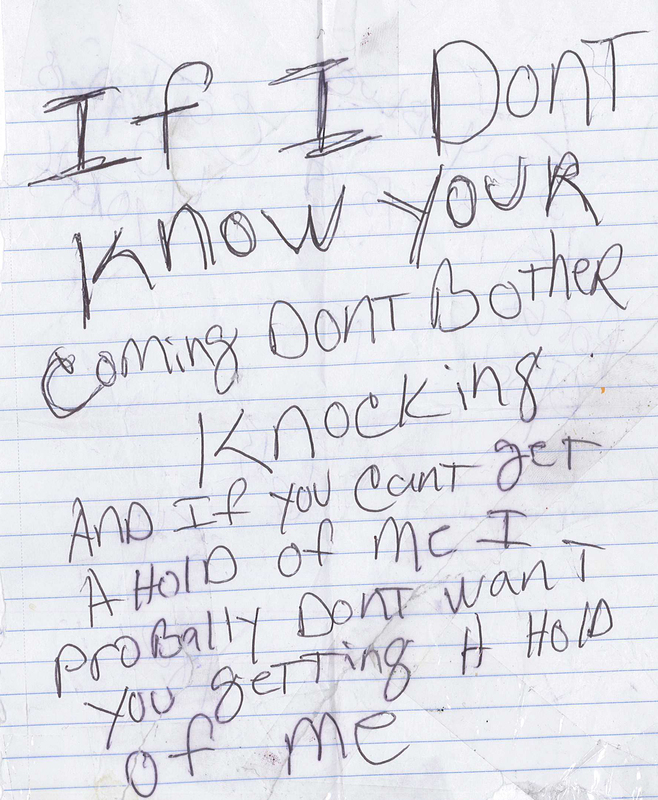 I found this note in the hallway of my friends apartment complex in Las Vegas. We were both a little drunk and enjoyed the word “probally” very much. I was tempted to knock on random doors, but then thought better of it..